February 5, 2014 - CBS Sports has reached an agreement with the NFL for its "Thursday Night Football" package, it was announced today. The deal, which is for the 2014 season and an option for an additional year, will see CBS produce 16 regular-season games, 14 Thursday night matchups and two late season contests on Saturday. Eight early season games will air on CBS with the NFL Network taking the baton for the remaining eight. CBS’s No. 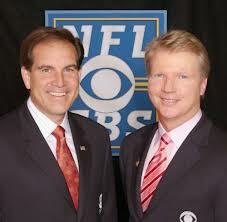 1 announcing team of ASA Board Member and play-by-play man Jim Nantz and analyst Phil Simms will call the action for the full slate of games, while the NFL network hosts and analysts will handle the pregame, halftime and postgame shows. With the popularity of the Thursday night games on the rise, it made sense for the NFL to make them more accessible to a national audience on network television. "NFL Network built Thursday into a night for NFL fans," NFL Commissioner Roger Goodell said. "Our goal is to bring these games to more fans on broadcast television with unprecedented promotion and visibility for 'Thursday Night Football' on CBS." CBS Sports President Sean McManus hopes the deal will be mutually beneficial for both sides. "The NFL is the most powerful programming in television," stated McManus. "To add a primetime NFL package to our successful Sunday AFC package further strengthens our position in the sports marketplace. We look forward to having Jim and Phil and our top production team showcased in prime time on Thursday nights,” he concluded.